Spectacular home in the highly desired neighborhood of Auburn Ridge. This extremely well-maintained bright, cheery home has 4 bedrooms and 2.5 baths and is ready for you to come in and make it your own! Features include, but not limited to, beautiful curb appeal, fabulous open floorplan with vaulted ceilings, double door entry, spiral staircase, formal dining with vaulted ceiling, spacious family room with brick fireplace, and more! Spacious master suite upstairs, along with 3 more bedrooms and an additional full bathroom upstairs. Half bathroom on the main floor. The beautiful home boasts a remarkable city lights view from the backyard where you can entertain your family and friends! 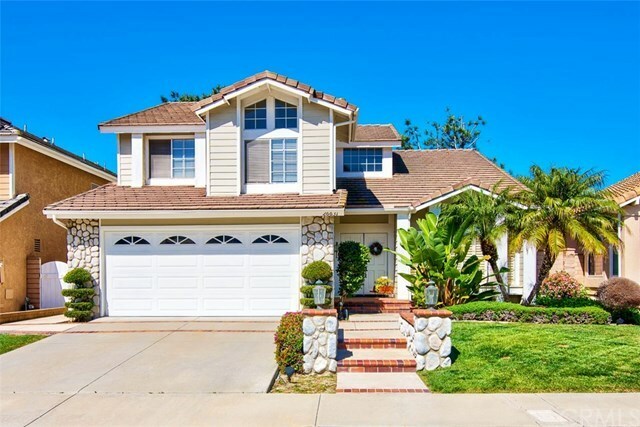 Close to freeways, Mission Viejo Lake, World Class Resorts and Golf Courses, beaches, shopping centers, hospitals, great school district and more!